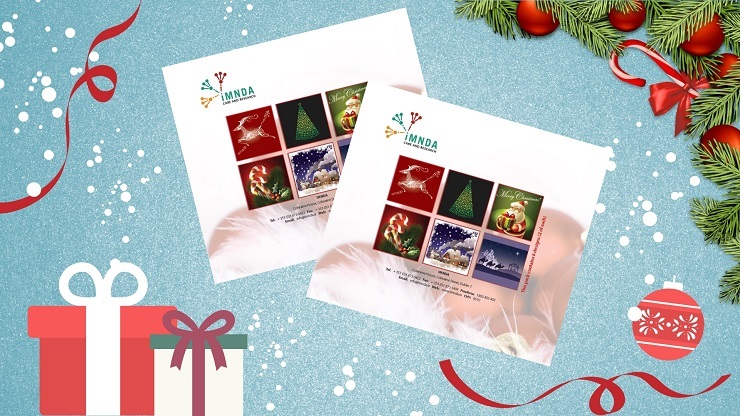 If you are looking to get some of our IMNDA Christmas Cards – please give the office a call on freephone 1800403403. Our charming Christmas cards are €10 per pack of 12 cards (including postage) and each pack has 6 different designs (2 of each design). Buying a pack and sending our cards is a simple and effective way for you to help us raise awareness. We don’t have much stock left so don’t delay, give us a call today!